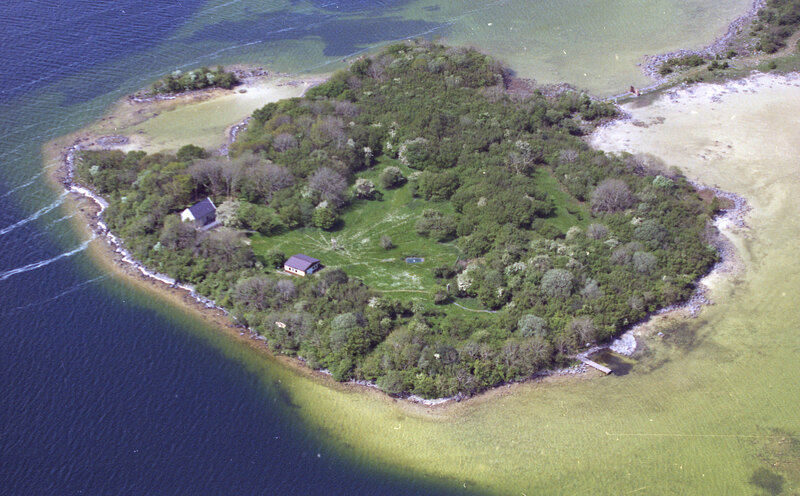 Church Island – Oilean na Scríne – Shrine Island lies at the North West of Lough Carra. Legends says that kings are buried here – probably the kings of Partree, one of the ancient kingdoms of Ireland. It was perhaps an island, sacred to the Druids and the dead in pagan times. Archaeological findings suggest it was inhabited as far back as 3000 BC. That may be why Patrick banished the nine goblins to it – Silva Godelica – and it may have remained a pagan shrine until Finan’s time in the 6th Century. Finan set up his monastery here in the 6th Century but a dispute arose between him and the saint on the other side of Carra, Cormac. Cormac headed northwards but he first predicted that Finan’s monastic settlement would never develop. It became known as Finan’s Island or Cil Finan but little is known about it. Marbhan, a poet hermit, according to some folktales lived there for some time as a hermit. Tradition in the area says that a priest from the abbey, Cummin Mac Fiachra, spent 50 years on the island, decorating the books and scrolls from the great Abbey. The island is also called Cummin’s Island. 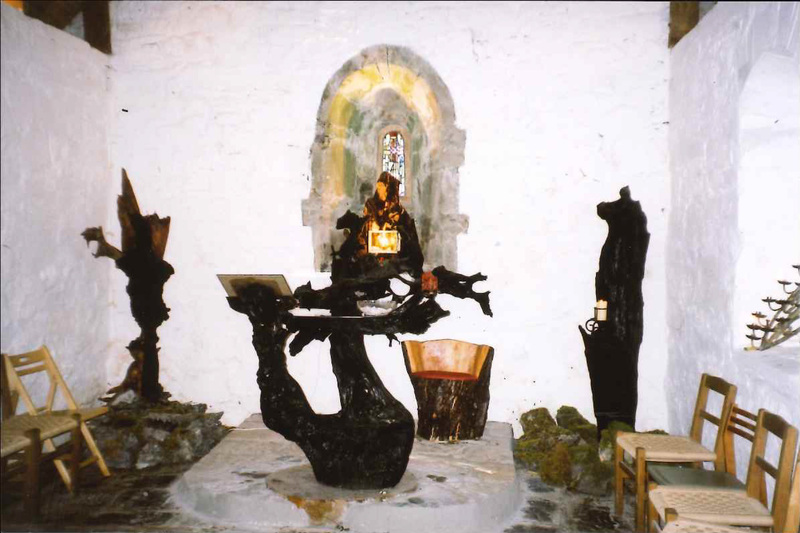 Cummin’s C14 Church is now restored and, during retreats, mass is celebrated there on the altar made from black oak, which grew in the area some 9000 years ago. The restored church is the fifth building on the spot. There was a round Neolithic building or shrine there in Neolithic times (3000 BC) The first Christian Church there was around the C7 and it was reworked in the 11th Century and rebuilt in the C14. It is this C14 church that has been restored. Excavation also reveal that it must have been a place where squatters dwelt in the worst times. Little famine burials were uncovered around the Church and in Penal times it must have been a place where Mass was celebrated as the Priests’ hiding hole is directly opposite it on the Doon Promontory – which goes back to 3000 BC. Church Island was cultivated by the people of Partry in later times. In World War II days charcoal was made on the island from the hazel. It came back into the possession of the Abbey in 1992 and is now a Retreat Centre and an oasis for reflection and prayer.